Celebrating Nearly Thirty Years of Small Business and E-Com Support! Founded in 1991 as Qualisoft Inc., VRP got its start by developing a DOS solution for shoe stores. Through working closely with retailers, listening to their specific needs and identifying their concerns, the program grew and evolved into one that now provides functionality for businesses in any retail vertical market. When Microsoft Windows became the industry leader in business operating systems, VRP helped lead the pack by providing a touch screen, cash register solution – something that is now an industry standard. Being “Designed with Touch in Mind” put our solution in a class by itself. Today, VRP offers one complete Point of Sale and Inventory Management software solution that is made for retailers by retailers. Thousands of users around the globe trust our robust functionality, flexibility, and practical interface to run their business. Our POS solution is customizable, because we know that no two businesses are alike. Our friendly, knowledgeable staff supports our customers both nationally and overseas. We are just a stone’s throw away from the commercial center of the world, New York City – our headquarters are in Hackensack, New Jersey – this has helped us see every change in the retail business up close. At Visual Retail Plus, our goal is to provide the most up-to-date software solution while maintaining a close, personal relationship with each and every one of our clients. 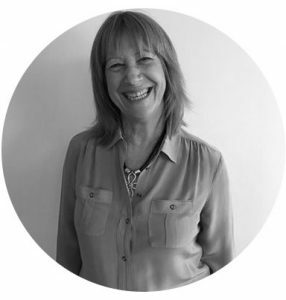 Dafna has an eye for seeing what the world needs and has been developing businesses for over 35 years. Her life experience, professionalism, business leadership and education in accounting allows her to make VRP the successful business it is today. 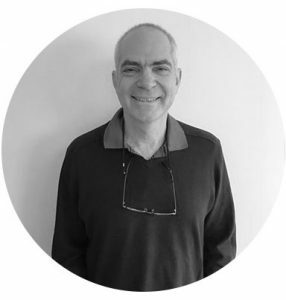 Woody has been developing software for many years and always stays up-to-date with market and technology changes. His experience and passion for data mining and analyzing data patterns always keeps him thinking one step ahead. 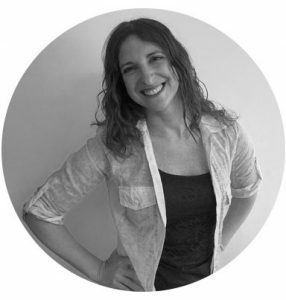 Hili’s passion for working with people and experience in the HR and training field in small and large corporate American companies; allows her to find a connection with any person that comes her way. Handling VRP’s marketing and branding goes hand-in-hand with speaking to new prospects on a daily basis.